Xarelto might not be more effective than aspirin when it comes to stroke prevention, and it may carry a higher risk of bleeding. That’s according to a study recently published by Canadian researchers in the New England Journal of Medicine on May 16, 2018. The researchers were unable to completely finish the study, however. They were forced to cancel due to concerns about the risks of serious bleeding to the study participants. Xarelto (rivaroxaban) was studied in a clinical trial that involved 7,213 patients. 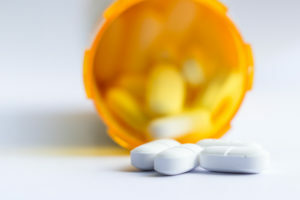 Of those, 3,609 took a 15 milligram dose of Xarelto each day, and 3,604 took a 100 milligram dose of aspirin each day. The study continued for a median of 11 months per study participant. At that point, an Independent Data Monitoring Committee took note of the high rate of adverse bleeding events, and recommended that the study be prematurely discontinued because it could be too dangerous for the participants. At the point at which the study was cancelled, the rate of recurrent stroke in patients who had already suffered a previous stroke was 4.7% for both groups—those who had taken aspirin and those who had taken Xarelto. In the aspirin group, 23 patients, or 0.7%, suffered a major bleeding event. In the Xarelto group, 62 patients, or 1.8%, suffered a major bleeding event. In their report, the researchers concluded that there was no added benefit for the study participants who took Xarelto compared to those who took aspirin regarding the prevention of recurrent stroke; both groups received the same benefit. Both groups had a 5% risk of recurrent stroke. However, there was a greater risk of potentially life-threatening complications in the patients who took Xarelto. In a different study published three months prior to this one, another group of a researchers published their findings about the risks of Xarelto in the New England Journal of Medicine. They concluded that the benefits of Xarelto and aspirin were the same regarding the prevention of blood clots in patients who had undergone hip or knee surgery. The medication Xarelto is commonly prescribed to patients at risk of stroke due to the formation of blood clots. Like other newer generation blood-thinners, Xarelto was marketed as a better alternative to warfarin, which had been the gold standard anticoagulant for years. Patients took Xarelto under the assumption that it would be better at preventing stroke, with fewer treatment-related hassles. However, unlike warfarin, the effects of Xarelto cannot be quickly reversed with infusions of vitamin K and plasma in the event that a patient suffers a major bleeding event. As a result, thousands of injuries have been reported in association with Xarelto, along with deaths. To date, there are about 20,000 product liability lawsuits pending against the makers of Xarelto. They have been centralized into a multidistrict litigation (MDL), which is proceeding in the U.S. District Court for the Eastern District of Louisiana. Judge Eldon Fallon is presiding. Although bellwether trials have been concluded, no progress has been made yet in establishing settlements for the remaining Xarelto lawsuits.